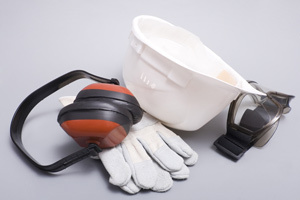 This site provides information on all aspects of industrial deafness ranging from the causes of industrial deafness, prevention methods, different types of industrial deafness, symptoms to look for and treatment, the legal framework that employers should follow in order to protect their workforce from potential hearing loss and information on industrial deafness claims. Industrial deafness, which can also be referred to as occupational deafness or noise induced hearing loss, is a condition that results in the loss of hearing (often over a prolonged period of time) as a consequence of a person’s working environment. There are a range of different types of hearing loss that can be caused from noise in the workplace, from temporary to permanent loss of hearing and conditions such as tinnitus or acoustic shock syndrome. The Control of Noise at Work Regulations 2005 is an act that has been put in place to attempt to protect workers from having to suffer from high levels of noise in the workplace and employers that have a noisy work environment should be following the instructions as dictated in the policy. For example, there are certain professions where there will inevitably be loud noise generated on an ongoing basis such as in construction, engineering, factories, foundries, mining, and quarrying and other jobs that maybe more prone to employers suffering conditions such as acoustic shock like call centre workers or workers in the music industry. Regardless, of the specific profession, if there are consistent levels or noise above 80 dB an employer should be looking into lowering noise levels and/or providing ear protection equipment to staff. The good news is that if the symptoms of industrial deafness are found early enough, treated by a qualified medical professional and preventative measures to reduce noise in the workplace environment are instituted there will be less chance of permanent damage to hearing.